Wednesday’s Debate –Will the Missing Piece of the Universe’s Grand Design Be Found? Extremely precise measurement of the mass of a sub-atomic particle by an Indian physicist has bolstered the hope of discovering the so-called “God Particle” – the last piece of the missing jigsaw puzzle in the atomic world that scientists need to explain the universe’s grand design. This past Saturday, Fermi National Accelerator Laboratory announced very accurately measuring the mass of a particle called W Boson. 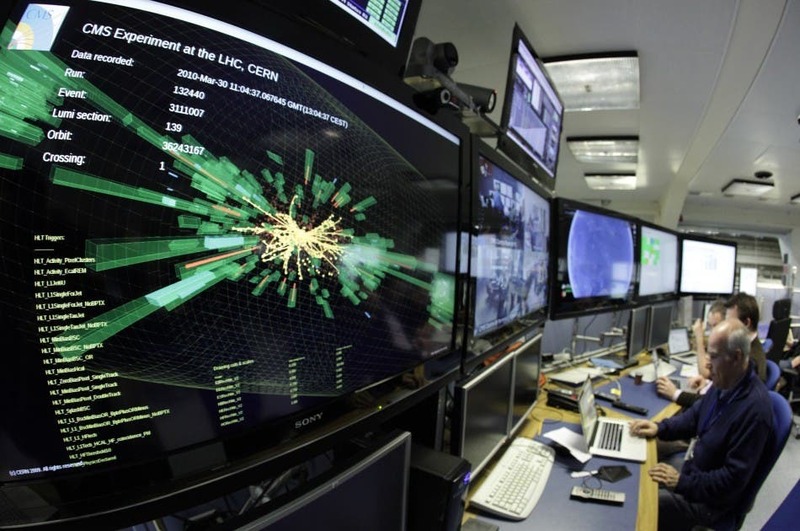 Precise measurement of that tiny mass narrows down the search for Higgs Boson—popularly known as the God Particle—which is being hunted in a mammoth underground experimental facility called Large Hadron Collider (LHC) in Europe by spending billions of dollars. The new measurement is an important, independent indication of the mass of the theorised Higgs boson. It provides a rigorous test of the Standard Model that serves as the blueprint for our world, detailing the properties of the building blocks of matter and how they interact. Standard model is a physics theory that explains every particle and force of nature. It remains one of the cornerstones of modern physics. While almost all particles described in the theory have been discovered by the scientists so far, the Higgs boson, which imparts mass to all other particles, remains elusive so far. What do you think? Will the existence of the Higgs Boson be confirmed?